Vicarious learning, also known as observational learning, has to do with learning by watching someone else. However, the human mind and behavior are very complexed, and vicarious learning is just one of many ways we learn. Nonetheless, being aware that this type of learning exists can help us understand our actions better and help us modify mistaken actions we have taken. Below is a video of a famous experiment done by Albert Bandura in the 1960s to study the effects of observation of aggressive behavior on children. Results of the study were that the children exposed to the aggressive behavior of an adult behaved aggressively after watching this adult. The study made Bandura a pioneer in the study of the effects of observed behavior and a model for future research on the topic. Prior to this study, popular thought was that observing aggression and its consequences would some how make someone less aggressive. Dr. Bandura led people to question this assumption and consider the possibility that behavior can be learned and repeated by simply watching. This study is called the Bobo Doll Experiment. Part of my personal effort, no matter how small or simple, to post more on psychology and/or mental health; and to raise awareness of the mind and decrease stigma of disorders and illnesses related to the mind. Additional posts in this series can be found by clicking on the badge below. My son is twelve years old. And I fear he’s already showing signs of teenhood. I know that sounds bad, but I still love my little one. It’s just the challenge of physical, emotional, and mental changes that occur during these years is scary and intimating. With this in mind, I’m reading a book called Conversations with the Wise Uncle, by Dennis E. Coates, Ph.D. (http://strongforparentingblog.com/), to prepare for the ups and downs of teenhood. I am very grateful for finding this book. It is an easy to read book loaded with useful, practical information for raising a teenage son into a healthy adult. He has another similar book called Conversations with the Wise Aunt. I plan to read the second book next. I have two nieces in elementary school, and I want to be ready for their teenhood. Below is a graphic I found on the development of the teen brain. Although the graphic is based on a book by another psychologist, I think it’s a good illustration of the teen brain development Dr. Coates emphasizes in his book. According to Coates, the pre-frontal area of the brain is initially immature and is under extreme growth and development during the teen years and will continue to develop and mature up into the early twenties. What the teen is exposed to (physically, mentally, and emotionally) has a great impact on his or her success as an adult. Coates’s books provide several chapters on how you can help your teenager prepare for teenhood and develop a healthy brain and life through awareness of the changes and challenges involved in the teen years, good habits, wise choices, listening, and critical thinking. As the quote says, stereotypes do exist. Social psychologist even write that stereotypes are normal parts of being human and being able to adapt to our world. True, but we must not walk around unaware of the consequences of the stereotypes that we hold. Many of these stereotypes can be unhealthy and harmful. Like not getting help or support for yourself or a loved one for fear of being labeled “crazy”. Below is a thoughtful and moving five minute video on the making of a public service announcement (PSA), directed by Ron Howard, for an organization named Bring Change to Mind working to erase the stigma of mental illness. Go to Bring Change to Mind for more information on fighting stigma associated with mental illness and to see the completed PSA (Change A Mind About Mental Illness). I found this fun info-graphic while Googling for ideas for illustrating the importance of finding time to relax in a busy life. It’s from 2012, but I think it’s still relevant. For the letter Q, I am trying out a poll by asking you all a question on how you manage your mental health. When I’m upset, I tend to keep to myself and need time to recover and get my thoughts together. I’ll read, watch TV, write, browse the internet, or take a nap. I have often read that when you’re feeling depressed, you should not isolate yourself. But most of the time, I need that rest time to myself before I reach out. What do you do? Go ahead and vote. I’m curious to read what other bloggers do. If you’d like, you can leave a comment and share some specifics about what you do to keep sane. If not, you can stay anonymous and simply vote. I wasn’t planning to close the poll, so you’re welcome to come back to browse the poll results and comments over time. Neurotransmitters are substances that transmit messages from one neuron to another through an electrochemical process. Neurons are nerve cells found throughout the human body in our nervous system. The nervous system covers our entire body and allows all areas of the body to communicate with the brain. This communication occurs with the help of the neurotransmitters. There are many neurotransmitters. Imbalances found in some of these neurotransmitters in the brain have been implicated in symptoms found in some mental disorders and states. The info-graphic below shows an example of a few neurotransmitters and how they affect us and some medications or substances that help with regulating imbalances. I’ve decided to combine the next two letters of the Psychology A2Z into one post. The reason for this decision is that the subjects I chose for L and M go together. You’ll see. 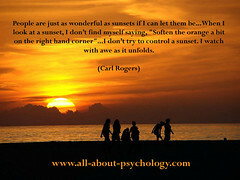 Source: Positive Psychology Melbourne (Click on chart for larger chart and more information). -Wikipedia – Click here for more. In 1875, William James taught the first college psychology course in the United States at Harvard University. He was a psychologist, philosopher, and medical doctor.